Though often thought of as being as out of the way and meek as they are small, halflings have a long history as adventurers and daring doers throughout the ages. Because their culture places more emphasis on families, games, and campfire stories, they have never held control of a nation of their own, and yet they thrive nearly any place they choose to call home. Despite their small stature, their quick wit and quicker bodies make them remarkably suited for adventuring to find a new story or two. Size and Type: Halflings are small humanoids with the [halfling] subtype. As small creatures, halflings gain a +1 size bonus to their AC, a +1 size bonus on attack rolls, a –1 penalty to their Combat Maneuver Bonus and Combat Maneuver Defense, and a +4 size bonus on Stealth checks. Speed: Halflings have a base speed of 30 feet. Halfling Luck: Halflings receive a +2 luck bonus on saving throws. Halfling Dodge: Halflings receive a +2 dodge bonus to AC. Kneecapper: Halflings receive a +4 racial bonus to Trip combat maneuvers. Halfling Agility: Halflings receive a +2 racial bonus on Acrobatics and Stealth checks. Acrobatics and Stealth are always class skills for Halflings. Halfling Senses: Halflings receive a +2 racial bonus on Perception checks and Perception is always a class skill for Halflings. Halfling Games: Halflings always treat Slight of Hand as a class skill. 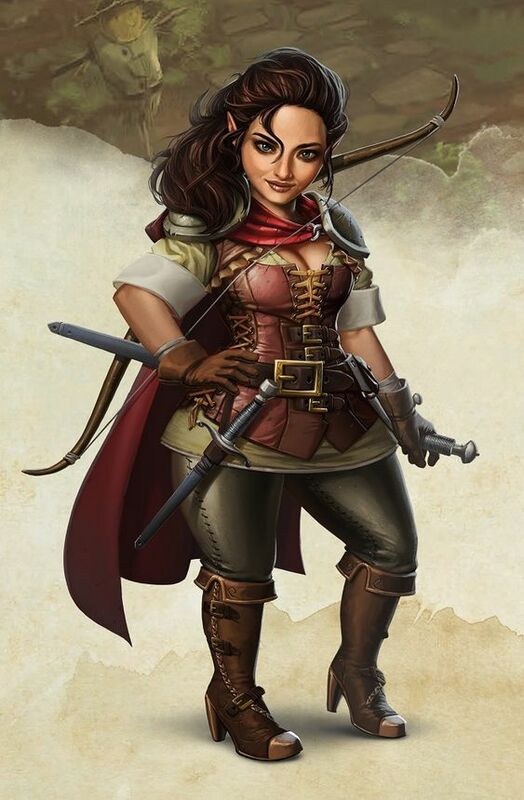 Halfling Step: Halflings reduce the penalty for using Stealth while moving by 5 and can make Stealth checks while running at a –20 penalty (this number includes the penalty reduction from this trait). Languages: Halflings begin play speaking Common and Halfling. Halflings with high Intelligence scores can choose from the following: Dwarven, Elven, Gnome, and Goblin.